The Cosmos is in process of creation through pulsation, that is, by explosions. The rhythm of the explosions gives harmony to the creation. Indeed knowledge of the spirit carries the thread of the Cosmos into manifested life. With a shining sword the new step should be cut free. It is necessary to recognize when to hold back the flowers of light lest they again be dissolved in the mist of the elements. The gardener knows when it is time to gather the flowers, for he planted the seeds now hidden. Not he who purchased the seeds in the bazaar; not he who in idleness ordered the seeds to be sown, but the gardener of spirit who at the start of bad weather buried the seeds in the spring-time earth. Yes, yes, he, the gardener of the spirit, will know the time of sprouting; he will distinguish the young stalks from the weeds, for he has performed the most hidden labor, and to him belongs the best blossom. Only enormous distance blends together the waves of threads into the vibration of the heavenly rainbow. One can begin to strive toward the far-off worlds by following a thread of Light realized by the spirit — this is a very scientific experiment. As has been said, small actions require assistance and apparatuses, but nothing external is needed for a great action. This album is a real pleasure for me, as I work with such a great ambient musician, as j a r g u n a – Marco Billi, and I must say, that he really inspired me to make this set of tracks. We are from different corners of the world, Marco is from Italy, and I am from Russia, we have different conditions of life, and we lead different lives – Marco is travelling, and I mostly locate in my small native town, but having found each other in the Internet, we also found our common side, and the will to collaborate. So, this album is an album to produce peace and serenity – people lack these qualities nowadays, mostly we are in the hunting after financial success and financial independence, but in this hunting, we forget, that true values are free, and we trample them down in this mad mad hunting. Stop consuming, because almost everything you need, you have in your minds. I am satisfied that the friendship was born between Kirill and me, a person of great vision available and open. I have always been involved in its sounds, its easy to communicate with sound is penetrating and decided, without many compromises. We were able to assemble this work thanks to the internet and friend we have in common, Nathan Larson, and through him I met Kirill. 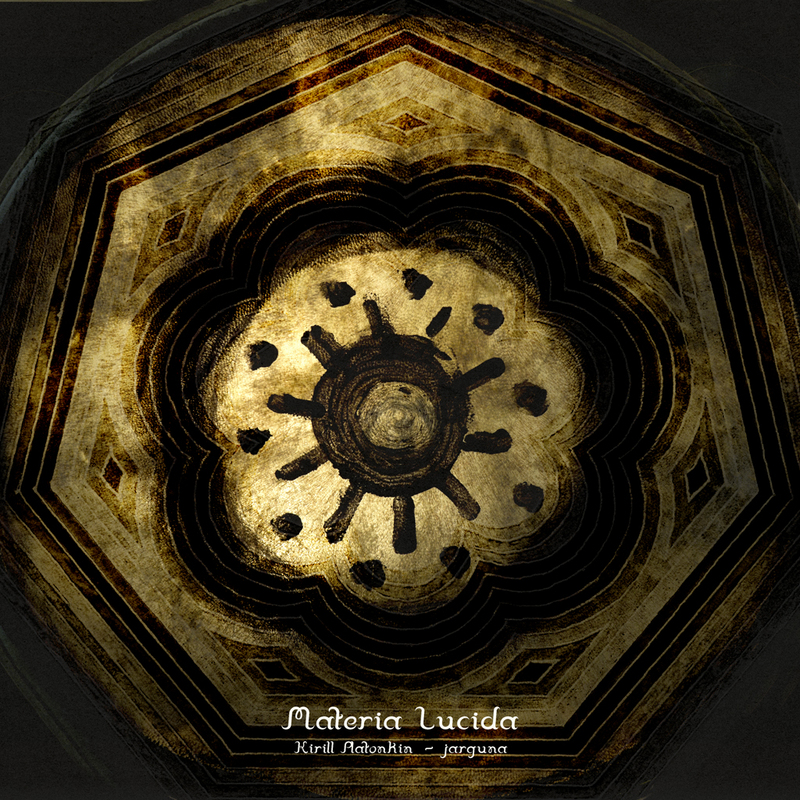 With Materia Lucida is materialized in me the idea that the vibrations beyond any prejudice, doors, walls, and such a distance, uniting people of habits, thoughts and lifestyles very different.